Jack Salvo teaches philosophy one night a week at a local community college, but he pays his bills by working as a Los Angeles private detective. When a group of world-class Russian ballet dancers visits L.A., he signs on as a bodyguard. It's a piece of cake. All he has to do is hang out with beautiful women. Then one of his charges is kidnapped from under his nose. In pursuing the kidnappers, he evades the FBI, finds bullet-riddled bodies near the Hollywood Sign, and dodges bullets. Drawn into a web of deceit and maniacal revenge, he finds himself in Saint Petersburg, Russia. Now he's a fish-out-of-water--an L.A. private eye in a strange land. The most popular historical site in town is called The Church of Our Savior Built on Spilled Blood. When Salvo tries to save the life of a ballerina with whom he has developed a close personal relationship, the church lives up to its name. I have really been in the mood for a hard hitting PI book after the last couple books that I have read and I do have to say that CHURCH OF THE SPILLED BLOOD hits it out of the park on all accounts. This is a book that will keep you engrossed from the very first page. I really like Jack Salvo. He's a different type of PI who just happens to teach philosophy in his spare time. Now that doesn't mean that he is a pushover but just the way that he thinks tends to be different from most of the PIs that I have ran across in books. He can certainly dish out the blood and guts but he is a nice guy. 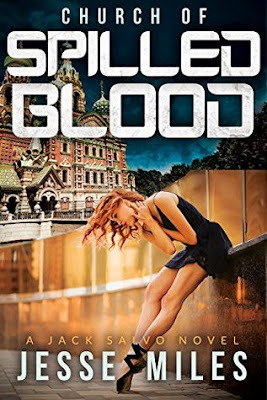 CHURCH OF THE SPILLED BLOOD is actually the second book in the Jack Salvo story and it stands really well on its own though there are some questions that come up such as how he can afford to bribe everyone with hundred dollar bills when he is on a case for himself. I am going to definitely grab the first book in the series to see if I get some answers and because I want more of this PI. I do recommend this book to any of my readers who enjoy mysteries and Private Investigators. I am sure that you will enjoy it as much as I did. 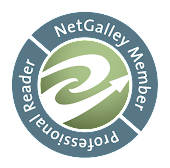 *** I received this book at no charge from NetGalley in exchange for a fair and honest review. All opinions expressed within are my own. Living the dream in the beautiful state of Washington. I am the owner of Shaiha Designs as well as Alchemee Designs, am an avid reader, and run herd on my husband and a variety of cats and dogs. I am very much a tea snob and enjoy sharing my opinion on all types of subjects. Follow Shaiha's board Beading: Tutorials on Pinterest. While all opinions in expressed on my blog are honest and my own, I do accept sponsors who do pay me for my reviews or provide free products so that I might share an informed opinion in my readers.